Discussion in 'Builds and Fabricators Forum' started by Chilly, Oct 26, 2009. OUCH, is it truly pitted that deep, or just on the surface? Unknown yet. Right now its a mass of crunchy blisters. Once those are dissolved I'll know more. If you EVER roll your chassis outside for any length of time wrap the engine with a contractor garbage bag and roll of duct tape. Glad to see you resurrect this thread because it puts it at the front of the line where noobs can see it. ...His freak flag flies loud and proud, parted down the middle and tied back with a filthy red bandana. He wears a faded out concert T-shirt from either Skynyrd or Waylon Jenning and a pair of jeans with slightly belled bottoms, but not crazy big like a smelly hippie. His watch is held on by a wide leather band with two buckles, strong enough to tow his Jeep if necessary. His Zippo has it's own tooled leather holster right next to his brass-bolstered Buck folder. He likes his wallets chain-driven. His radio is equally likely to play Merle Haggard's "Momma Tried" or Jefferson Airplane. His "Keep On Truckin'" hat is adorned with two pins: a yellow smiley face and a green NORML pin. He believes in peace and love enough to get along with everyone he meets but thinks if you're going to send troops you ought to let them win the damn thing. This is some fine writing ^^. 'Cause I ruined it like a loser. Till Oxide's Harpies shut the door. That cylinder turned out pretty good. Pitting does not seem too deep but still requires boring over. Can't hang a nail on the ridge but pitting seems like an over-bore is needed. The original block doesn't have any pitting but I can hang a nail on the ridge and it had been overheated. The rusty block is probably a better bet. Period correct lunchbox in which I hauled a baloney sammich, apple, and home made cookies. Thermos is long lost. jeepermc and Hellion like this. 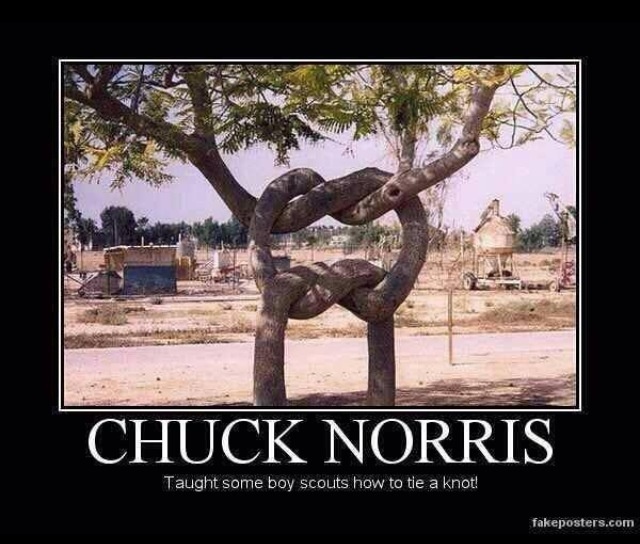 The only man who has successfully shut a revolving door, Chuck Norris. We call the winch chuck. He doesn’t pull you out he pulls the earth under you. Want to use a chuck Norris lunch box for the solinoid cover on the 8274. Stripped down original engine block and heads, which were on the garage floor. Block and heads are at machine shop while the engine with rusted cylinders remains between the frame rails. One last cylimder is soaking in rust dissolver since we have a few warm days. Intake marinating in hot soapy water after a scrubbing with Simple Green grill cleaner. That stuff worked surprisingly well considering how chemically neutered it is. But I got two cans of high-test oven cleaner that I'll use after the hot water rinse. Tried prying out the rivets for the PCV baffle but they broke. I'll drill and tap the holes, screw it back on, then tack weld the screw heads to the baffle to be 100% certain they dont come loose and jack up my cam. Surprised how clean this engine was. Little sludge. I think it was decently treated but just worn out. Then the kid who had it for a short while before me overheated it and cooked the ring tension. But machine shop has detected no damge. Yet. THATS what I like! Skin-melting caustic poison that turns carbon into slime.